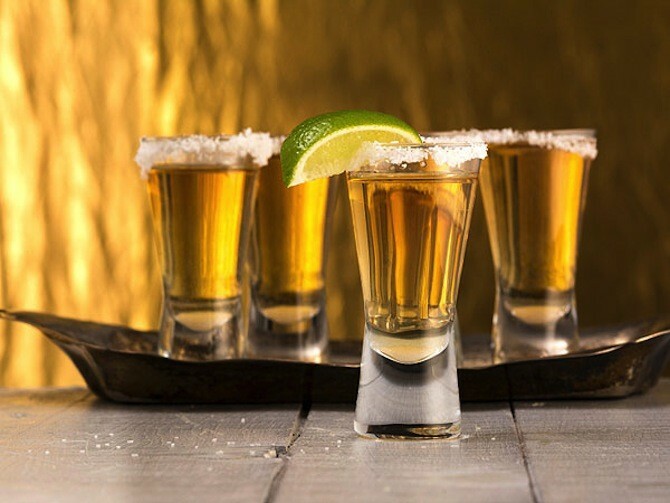 Breaking News: Tequila Is Good For You. Wait... What? Cindy and I regularly travel to Mexico during the winters, and it goes without saying that we enjoy partaking of the local drinks, tequila being the preferred choice. So, you can imagine my delight when I saw this article last night offering the bennefits of tequila! Who would have thought?! A major sugar produced by the agave plant named agavins, could trick your body into thinking it’s eating sugar. Agavins aren’t digested by our bodies so we taste sugar without it actually entering our blood streams. More research is needed, but this new research presented at a meeting of the American Chemical Society could prove to be huge in the diabetes world. In between blowing your nose and downing orange juice like it’s your job, consider throwing back a shot of tequila. Agave contains a chemical called saponin which has been shown to increase immune response in your body. Shooting some ‘quila right before you get sick may help ward off any potential colds in your future. Party over here. Well that’s a new one—an alcohol that can actually help you lose weight. Say it ain’t so, but science is here to shut you up. Lab mice fed a diet including agavins showed to lose weight and stay full longer. Even better, tequila shots also cut down on the calories. Since it’s often enjoyed with salt and lime, you don’t need that sugary chaser handy. This is a no brainer right? 1 tequila, 2 tequila, 3 tequila, floor. But actually tequila has a relaxing affect on our neurological system. This doesn’t mean ripping shots until you black out, but a shot or two before bed wouldn’t hurt every so often. Plus, how badass would it be to tell someone you take a shot of tequila before going to bed, amirite? You drink a bunch of tequila and then don’t remember you did actually dance with that cougar at the bar last night. However a study out at Wake Forest University tells us that drinking tequila could actually help reduce our risk of getting dementia by 37 percent. So while it may not help find where you left your ATM card last night, in the long run you’ll be covered.